Zymox® Equine Defense® Enzymatic Cream cleans and treats surface wounds and skin infections on horses. Infections can quickly turn serious if left untreated, so ensure that your horse recovers properly with a non-toxic, hypoallergenic healing salve. 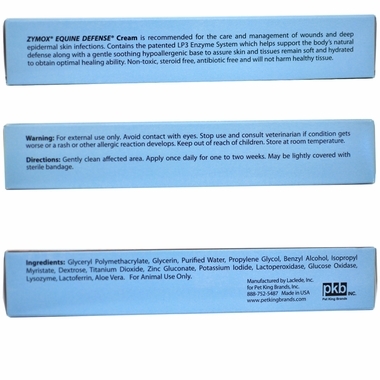 This cream is free of steroids and antibiotics to ensure that it is safe for your equine. 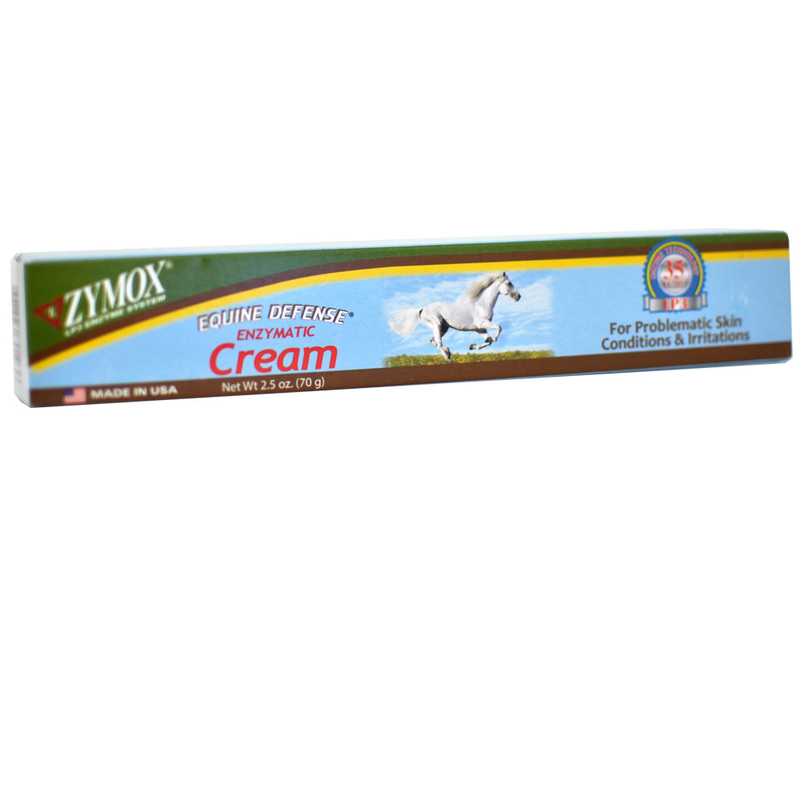 Zymox® Equine Defense® Enzymatic Cream cotnains the patented LP3 Enzyme System to support the body's natural defense. This cream was made in the USA and includes 2.5 ounces of the solution to ensure your horse heals properly. You never know when your horse might come down with a skin infection or injury, so order this healing cream for your equine today! Ingredients: Glyceryl Polymethacrylate, Glycerin, Purified Water, Propylene Glycol, Benzyl Alcohol, Isopropyl Myristate, Dextrose, Titanium Dioxide, Zinc Gluconate, Potassium Iodide, Lactoperoxidase, Glucose Oxidase, Lysozyme, Lactoferrin, Aloe Vera. Warning: For external use only. Avoid contact with eyes. Stop use and consult veterinarian if condition gets worse or a rash or other allergic reaction develops. Keep out of reach of children. Store at room temperature. Directions: Gently clean affected area. Apply once daily for one to two weeks. May be lightly covered with sterile bandage.